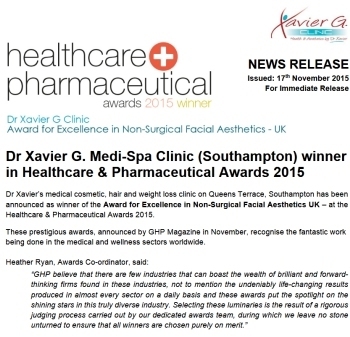 Click on the links below to view our press coverage and news. 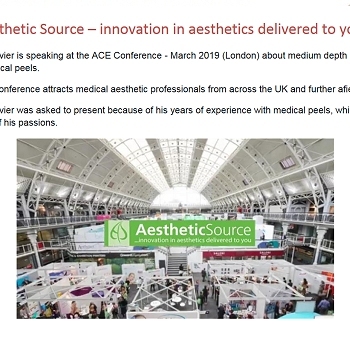 A PDF will open in a new window so that you can download it to read at your leisure. 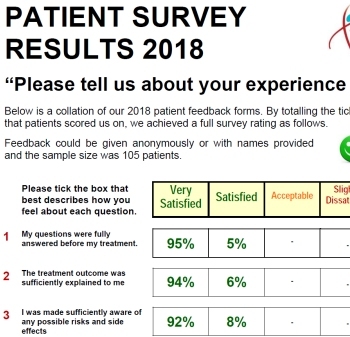 Close the new window to return to this page. 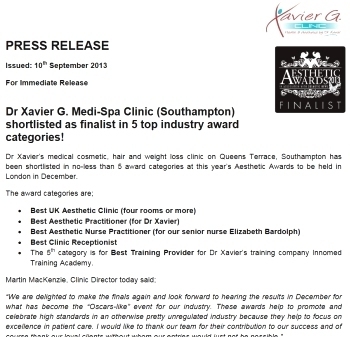 Dr Xavier G. Medi-Spa shortlisted as finalist in 5 top industry award categories! 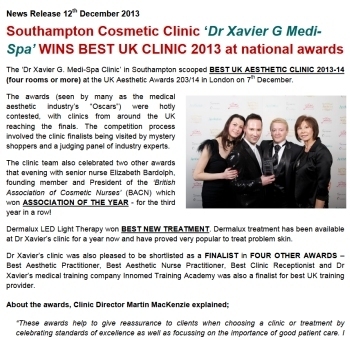 Dr Xavier G Medi-Spa WINS BEST UK CLINIC 2013 at national awards. 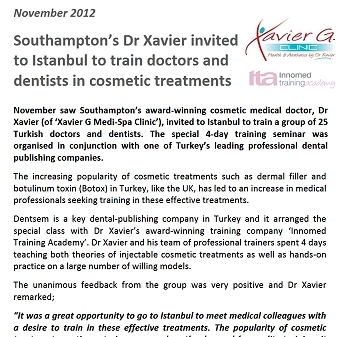 Dr Xavier invited to Istanbul to train doctors and dentists in cosmetic treatments. 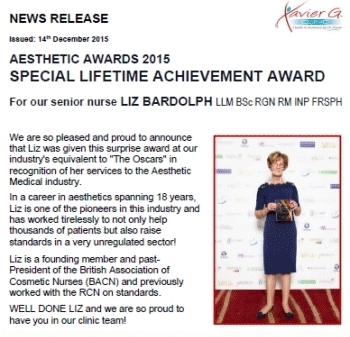 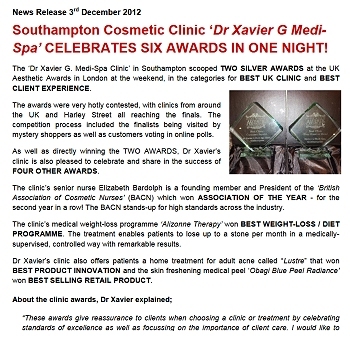 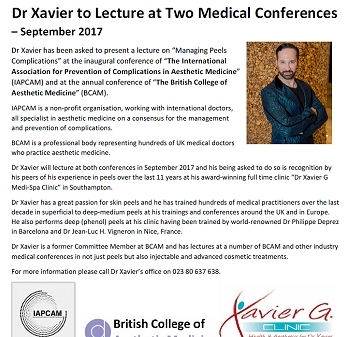 Dr Xavier G Medi-Spa CELEBRATES SIX AWARDS IN ONE NIGHT! 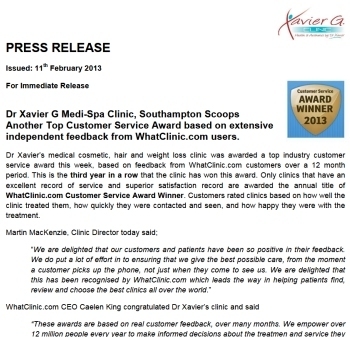 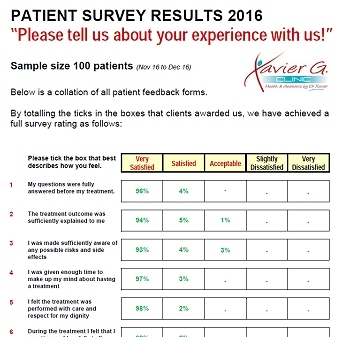 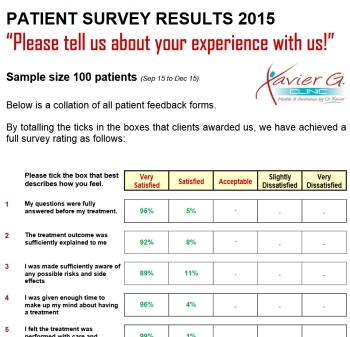 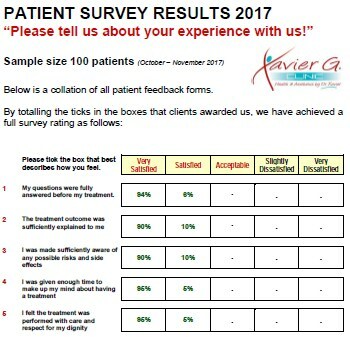 Patient Satisfaction Results 2012 / 13.